One of the true perks of modern life is being able to do all of your Christmas shopping online, in your pajamas. The downside to this, unfortunately, is that packages can easily be stolen. This week, a friendly redditor from USPS explained how to prevent package theft over the holidays. By taking a few simple precautions, you can ensure that your adult-sized mermaid blanket (or, you know, whatever) doesn’t get snatched off your front porch. This time of year is a busy one for mail and package delivery. Last year, UPS estimated it would ship a staggering 630 million packages between Black Friday and New Year’s Eve. However, not all of those packages made it to their intended owners: A 2015 report from insuranceQuotes.com found that 23 million Americans have had packages stolen. On Tuesday, a letter carrier for United States Postal Service named “T.Jay” (tjayrocket on reddit) went on reddit to give tips about how to keep thieves from taking your packages this holiday season. Although T.Jay (who also, delightfully, calls himself “The Punk Rock Mail Man of Seattle”) made clear that he is not an official spokesperson of USPS, his advice will definitely prove helpful to people receiving packages this year, regardless of which mail service they use. Track Your Packages - Be it the USPS, UPS, FedEX, DHL, Amazon or other - we all offer tracking. Keep an eye on your tracking and anything you order, ask for Tracking when you order your items. Amazon automatically tracks all their packages but some people don't offer this automatically. Don't be shy about it, get the tracking info and watch for your packages. 2. Don’t be afraid to communicate with your mail carriers. T.Jay points out that a lot of packages (including ALL Amazon packages) are sent with a "Carrier — Leave if no response" guideline. That means that the delivery person will leave your package at your home (or wherever you’re having it delivered) even if no one is home. “That's the easiest way for people to get your stuff,” he writes. If you leave us a note, we will see it as long as it's clearly visible to us. (Leave it in your mailbox, that's the easiest way for us to see it because that is what we are trying to find on your property.) … Want us to deliver behind your house or to a neighbor? We can do that as long as no one has to sign for it with ID but we don't know unless you tell us. 3. Put a hold on your mail if you’re leaving town. USPS allows you to put a hold on your mail for up to 30 days, for free. (You can do it online here.) T.Jay emphasizes that it’s important to put a hold on your mail, even if you’re only going to be out of town for a couple of days — if you get a package while you’re gone, that’s plenty of time for someone to go onto your porch and steal it. 4. Don’t let your mailbox fill up. If for whatever reason, you just don't feel secure with packages arriving to your house or apartment, Amazon does offer Parcel Locker deliveries located at places like 7-11 and QFC/Safeway. We drop the packages there, in a secure area and you get a code sent to you so when it's convenient for you, you can get your package there. 6. If your packages ARE stolen, reach out to Amazon and USPS. This comes as no consolation, I know, but — All Amazon packages are insured from theft. Believe me they are a part of the process from when you order until we at the USPS, deliver. That Goes for UPS and FedEx as well. 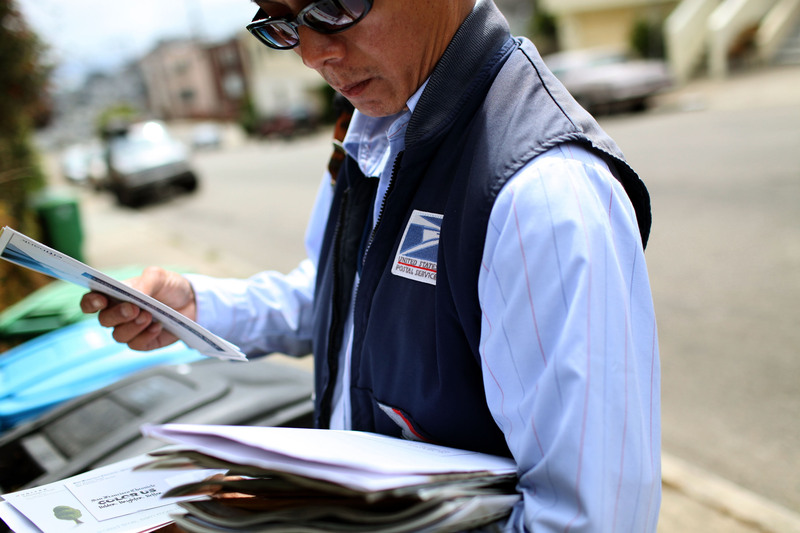 If your package is lost, stolen etc — please call us at 1(800) ASK-USPS. You hate having your packages stolen, and we hate it too, especially during the holiday season. You can see the whole reddit thread here. 3) And no adult items — alcohol etc. He said that gift cards are OK, but cash is discouraged because carrying it around can be dangerous for mail carriers. Have a safe and theft-free holiday, friends!